The soil in Monwabisi Park is very sandy which makes it hard to grow an effective garden. Using a mixture of compost and the existing soil in a garden bed greatly increases the chances of a successful garden. There is not much compost available to the community members, so creating their own is essential for good crops. 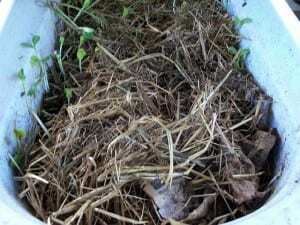 An easy and effective way to create compost is the use of vermiculture. Earthworms are very good at breaking down organic waste and turning it into nutrient- rich compost (About). The juice that can be collected from the earthworms is also valuable in gardening because of the essential nutrients it holds. This substance, when mixed with the appropriate amount of water, is called “worm tea” and adding it to a garden can give it the extra boost it needs to grow full and strong (About). Earthworm farms are fairly easy to build and care for. 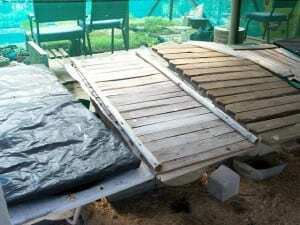 An earthworm farm need not take up much space either; it can be created in an old bathtub, which makes it a very valuable model for a community such as Monwabisi Park. 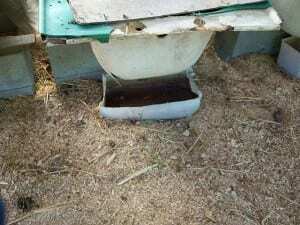 Place your bathtub in a shady area; worms don’t like light. Drill small holes in the sides of the tub and the top of the lid for drainage.By drilling from the inside of the tub, you can prevent clogging. Place a pail under the drain of the tub.This will collect the earthworm juice. Cover the inside surface of the tub with mesh to keep the earthworms inside while still letting the juices drain out. Put a layer of pebbles at the bottom of the tub. Create a 2:1 ratio of newspaper and potting soil and fill ¾ of the tub. Place the earthworms in the tub WITH the soil they came in. Cut a piece of cardboard that fits the tub, wet it down, and place it on top of the earthworms. Place any food or organic waste on top of the cardboard and cover with the lid. Add food waste whenever you have it. When tub is full, look under the layer of waste and a bit of the paper to find good compost.